In The Cat Cave: Happy Mother's Day!! I couldn't be prouder to be a Mom of two and couldn't imagine my life any other way. But it also reminds me that I have the most amazing mother - she is unbelievably patient, understanding and flexible... it turns out shes a lot like me... except for the patient part??? Why couldn't I get that? 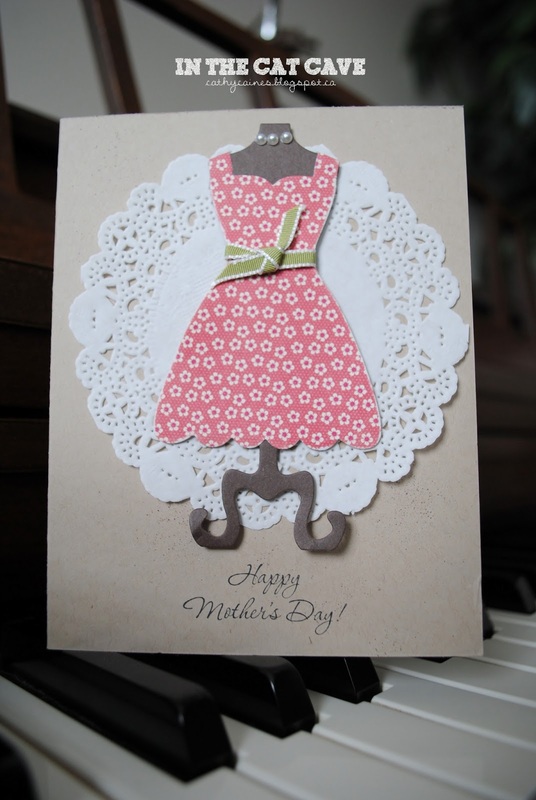 So, on this day - I am sending a heartfelt 'happy mother's day!'. You know, you have good days and bad days. On those bad days it can be hard to see whats right. This morning it was raining hard and I needed to pick up my father's vehicle at a restaurant when I decided to have an extra glass of wine with friends. My husband graciously packed the two kids in the car. Baby J (HAPPY SIX MONTHS) was gurgling and Miss J was ranting about what to do with her life (not kidding). I agreed to go get fresh bread once I picked up the other vehicle and my husband said he'd get the coffee. So far, not a bad morning. Until I saw the tire pressure in the vehicle. One tire was half the others and these were new tires so something wasn't right. I stopped at one gas stations - the air machine was out of order. I stopped at another (in the pouring rain) and realized I didn't have any change. Grr. I gave up and went to get the bread... and some peanut butter balls 'to boot'. Meanwhile, I drove back home... and its funny how your attitude can change... when I pulled up to my house this morning and I saw how green our grass had turned after a night of rain. I thought to myself... "I just want to gobble up this life." And in that moment, I felt so lucky. So happy. And truly felt there wasn't enough time in this lifetime to do everything that I want to do. And then I thought... "I want to make a difference." You gotta love this life. Here's some Mother's Day cards I have done over the past couple weeks! And a thank you card for my sister, who is thoughtfully thanking her substitute teacher who took her position while she was on mat leave. As you can figure out, she is a music teacher. She is also a Mom. And a great Mom. So, happy Mother's Day Aunt Heather! This was a vanilla cardstock that I used Heidi Swapp color shine by just swiping it off my kraft sheet. I stamped the music background stamp and stitched around the border. Retreat day one, part one. 98 years minus two weeks.